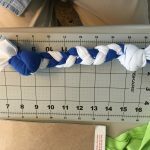 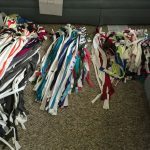 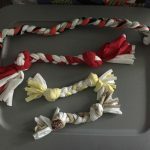 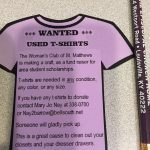 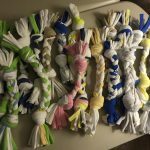 In keeping with conservation efforts, the Woman’s Club members collected used t-shirts from various sources and handmade Doggie Chew toys which were sold at the St. Matthews Street Festival to raise money for Scholarships, and to donate to the Kentucky Humane Society for pets awaiting adoption. 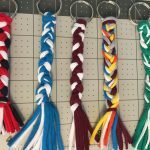 In addition to the Doggie Chew Toys, small Key Rings were made from the t-shirt material for the scholarship fundraiser. 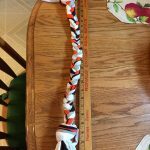 A Size for Any Pooch. 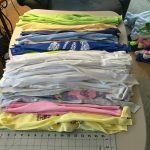 Product Testing? 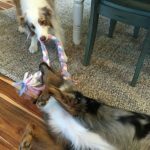 These Two Just Loved Their Chews.